Get up-to-date on yesterday’s installment in our Top 20 most popular US choices for luxury watches under a grand. 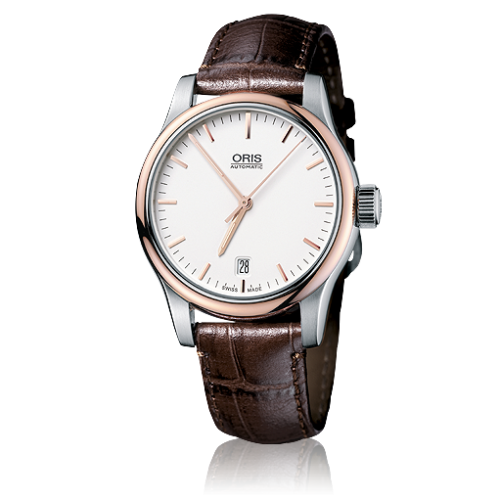 Oris is a Swiss brand known for its signature Red Rotor. Oris has been manufacturing precision timepieces for over 100 years and it actively sponsors music and the arts. Brand Ambassadors include the Hong Kong entrepreneur and actor Nicholas Tse and legendary 60’s performer Bob Dylan. If you’re not familiar with Maurice Lacroix timepieces, as their new brand slogan so eloquently states it, “Your Time is Now.” Maurice Lacroix makes timepieces that are the very essence of elegance and prestige. Frederique Constant’s commitment and passion to articulate quality and innovation in the design of its timepieces translates into time that is luxurious. Frederique Constant introduction of its elegant Double Heart Jewelry Collection extended its heart to include an exclusive watch collection designed for the elegant woman. Speaking of elegant women, Eva Longoria partnered with Frederique Constant last year to support her charity, Eva Longoria Fund, which helps women and the Angel Foundation committed in the fight against cancer. This watch collection is nowhere under a grand price tag mark, however, Frederique Constant’s Delight Hearts Diamonds watch may woo your visual senses. 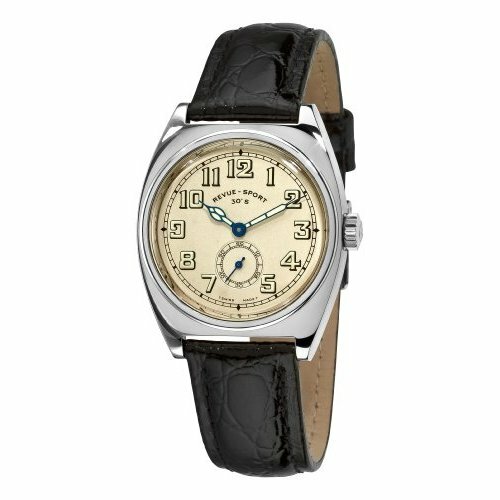 Revue Thommen is a brand whose history is steeped in the manufacture of precision instruments for the aviation industry since 1920. This precision approach to aviation instrument expanded to the production of small wrist watches (and alarm clocks) one in particular the Cricket watch. The expansion led to the Grovana Watch Co. Ltd opening and dedication to the production and sales of its watches, which includes its exclusive watch movements and watch collections. PrimaLuna (Model L8.110.4.71.6)pays tribute to the shimmering moon, casting its classic feminine charm with a round polished stainless steel case and link bracelet. 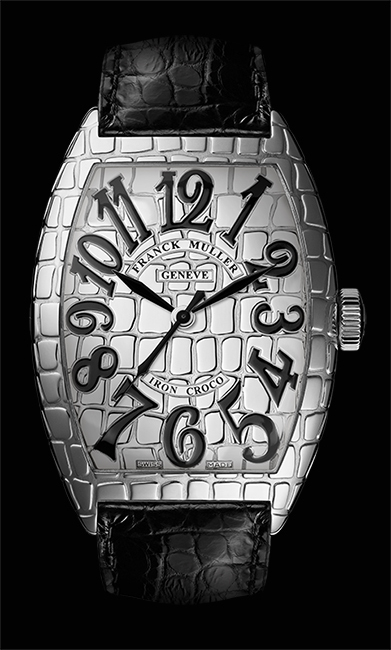 Its radiant silver dial presents Roman numerals, hour markers and a date aperture window that is carefully nestled at 4 o’clock. The dial is complimented by contrasting blued steel hour/minute hands and sweeping seconds hand. Lithuanian actress Ingeborga Dapkunaite is as radiate as this timepiece and also happens to be an Ambassador for Longine’s PrimaLuna collection. Other Ambassadors for this enigmatic brand include Simon Baker, Kate Winslet, Stefanie Graf, Andre Agassi, Aaron Kwok Fu Shing to drop a few star studded names. Aviator Russian Poljot Black Chronograph (Model 31681/6975607) articulates the best of this Soviet-Russian watchmaker whose name literally means flight. Aviator Russian Chronograph features a round matte finish stainless steel 42 mm case accented by a black dial with a luminescent analog display, three chrono sub-dials and date aperture window between 4 and 5 o’clock. It features a mechanical hand wound movement protected by a sapphire crystal. 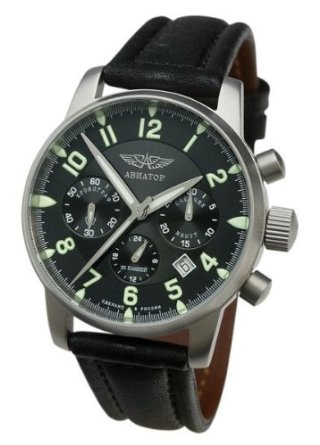 Aviator Russian Black Chronograph is adorned with a black leather strap and has a buckle clasp. 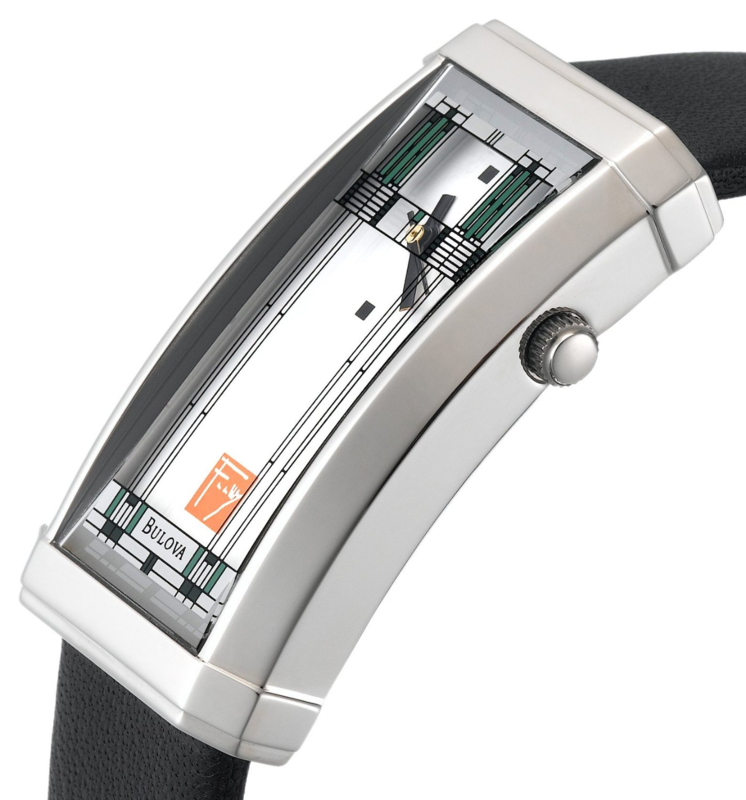 Poljot manufactured several historical watches including the world’s first space watch which was worn by Yuri Garagin. 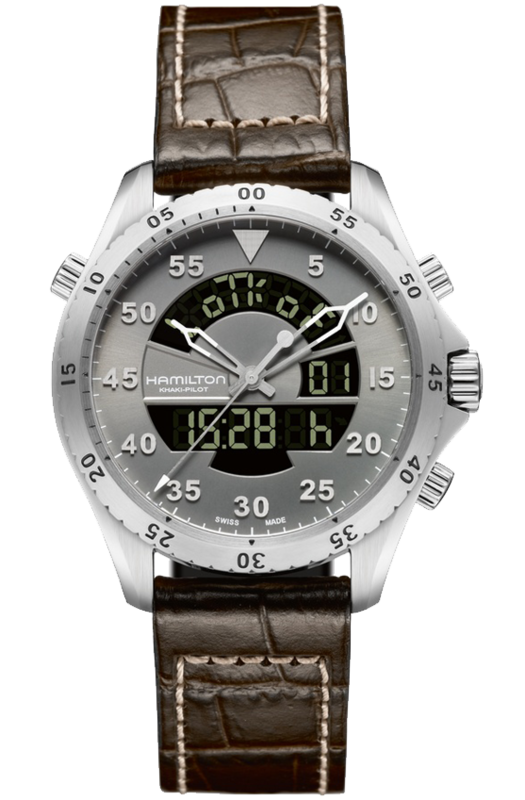 American spirit combined with Swiss technologies – Hamilton’s brand mantra. Flight Timer is a combination digital and analog multi-functional aviation watch that offers dedicated pilots the ability to log up to 20 flights. It takes flight with a 40 mm stainless steel case and unidirectional bezel complimented by a silver dial. 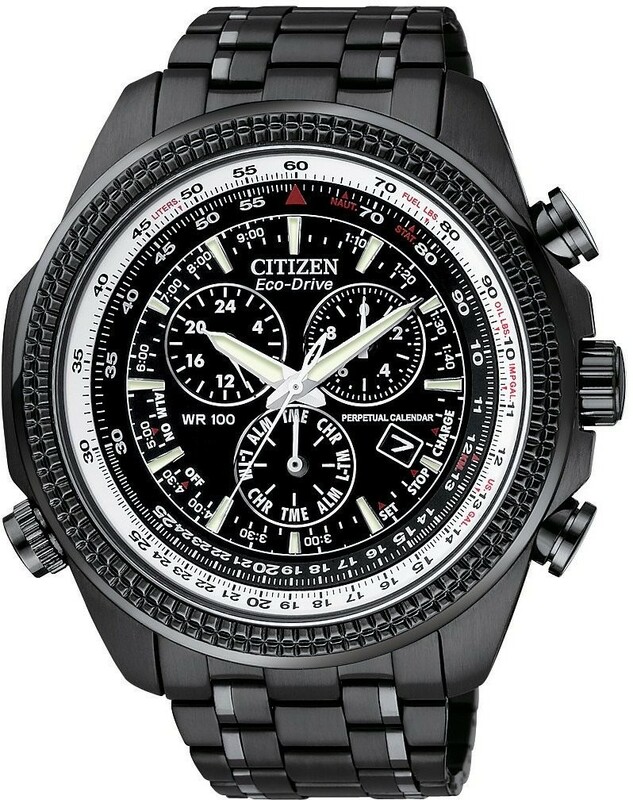 It features two digital time zones, UTC time, alarm function, chronograph and flight time recorder. It also has an ISA temperature display, end of life indicator and perpetual calendar. 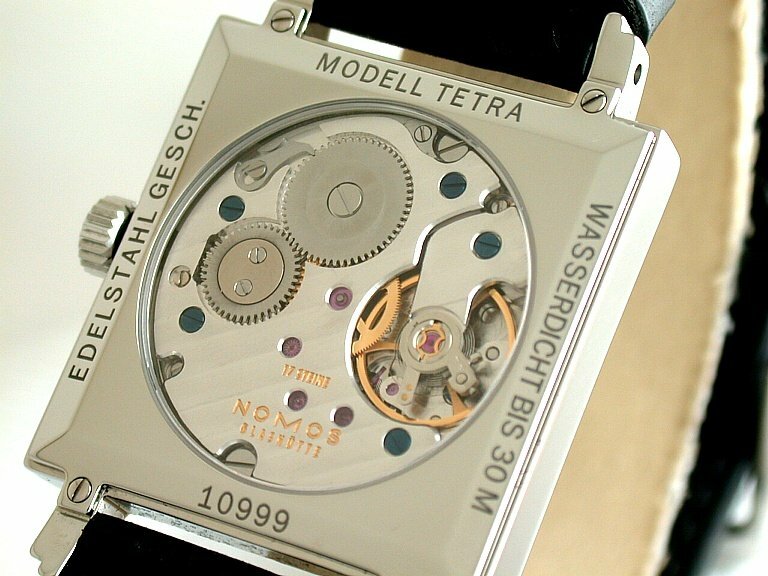 It houses ETA E20.373 quartz movement which is protected by a sapphire crystal. 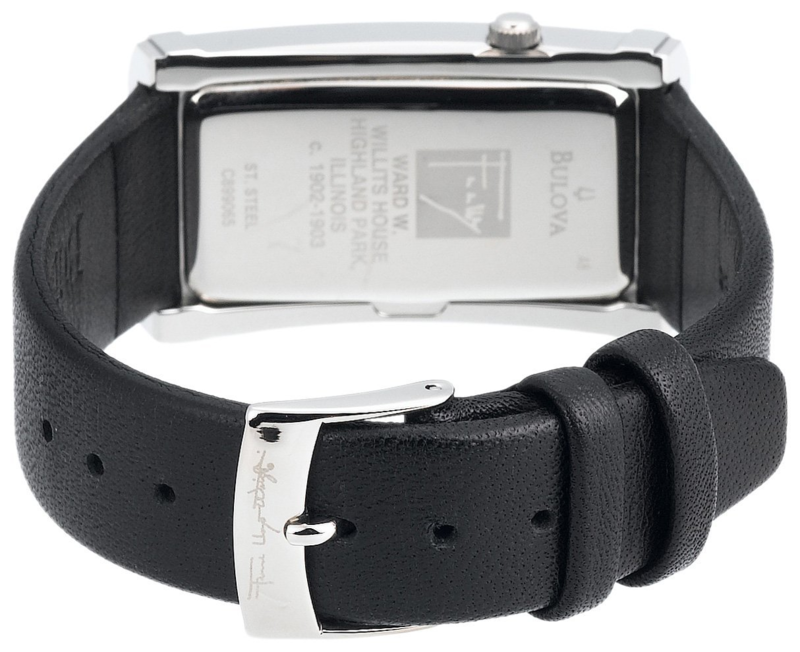 It is adorned with a brown leather strap. In the Die Hard film, Live Free or Die Hard, Bruce Willis’s character, John McClaine, wore a Hamilton. In the recent film, A Good Day to Die, both Willis and Jai Courtney (McClaine’s son, Jack) both wear Hamilton watches. Formula 1 Quartz Men’s Watch (Model WAU1114.BA0858) gives the fellas the of experience and excitement of Grand Prix racing behind the wheel of a Formula 1 race car (well maybe with an active imagination). This race inspired timepiece has a 42 mm diameter brushed stainless steel case and bracelet that is accentuated by a black dial and unidirectional bezel brought to life by a sporty red tachymeter along the flange above the dial. It also has dual date aperture windows nestled within a 60 seconds sub-dial at 6 o’clock. 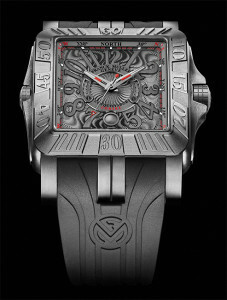 Formula 1 has Swiss quartz movement which is protected by a sapphire crystal. 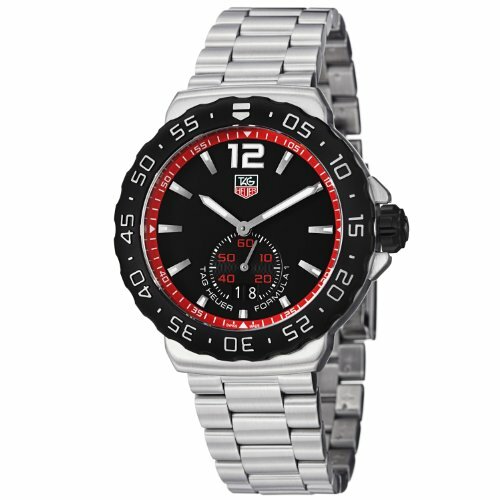 TAG Heuer Formula 1 Ambassadors include iconic Steve McQueen and Jenson Button of Vodafone McLaren Mercedes F1 Team. 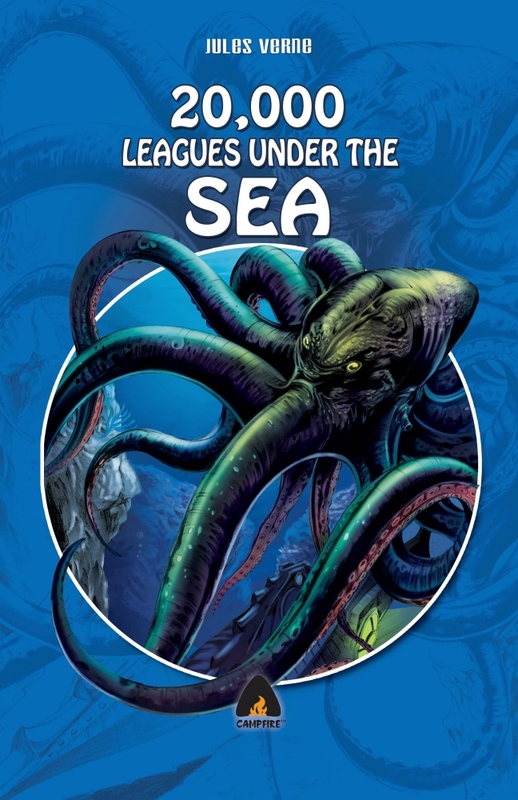 It is available on watchesonnet.com. 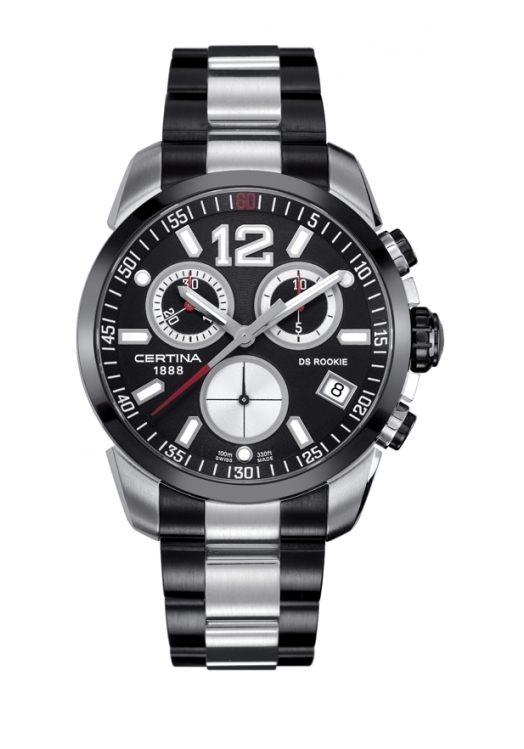 DS Rookie Chronograph (Reference: C016.417.17.057.01) is one of Certina’s striking yet sporty watches that show cases a black high grade steel 40 mm diameter case with three sub-dials for minutes, seconds and hours, it also features a date aperture window at 4 o’clock all against a black dial. It has is adorned with a sporty black rubber strap. If you’re at all familiar with the story of the Victorinox Swiss Army brand then you are aware of the original legendary Swiss Army Knife and many of its multifunctional tool capabilities. Karl Elsener opened a cutlery workshop to provide soldier with a sturdy, yet compact knife. What started out as a specialized cutlery shop evolved into a brand with multi-offerings such as travel gear, fashion, fragrances and yes, watches. 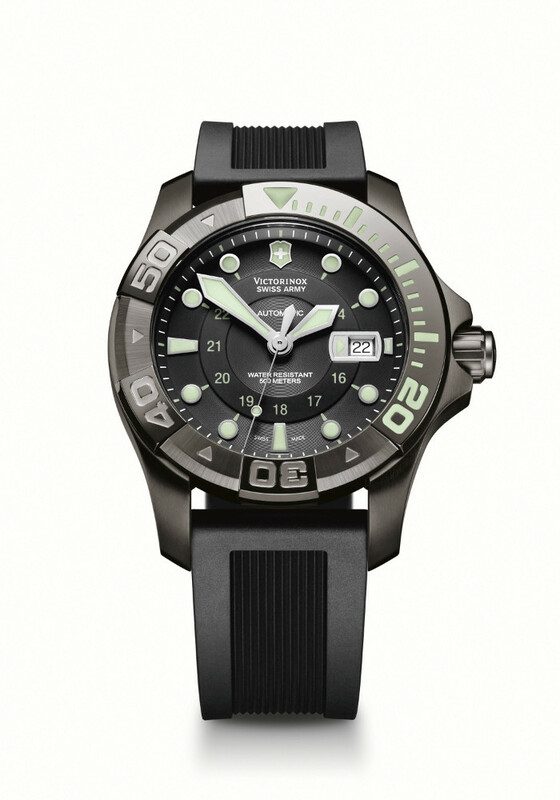 Victorinox Swiss Army designs watches that fashionably appeal to people with active, classic or professional lifestyles. filing-cabinet. Seiko developed a small accurate quartz marine chronometer clock in 1962, it weighed 30 kilos and helped to significantly improve navigational precision out at sea. By 1964 Seiko produced the Crystal Chronometer QC-951 which weighed only 3 kilos. It was the first quartz timepiece to ever be used at the Tokyo Olympic Games. It is around this same time period that many Swiss watchmakers were in a dead heat to develop a quartz watch; and Seiko President, Shoji Hattori commissioned a special project team to do just that within a year’s time in1968. December 25, 1969 Seiko released the worlds’ first quartz watch, Quartz Astron with an 18 karat case. 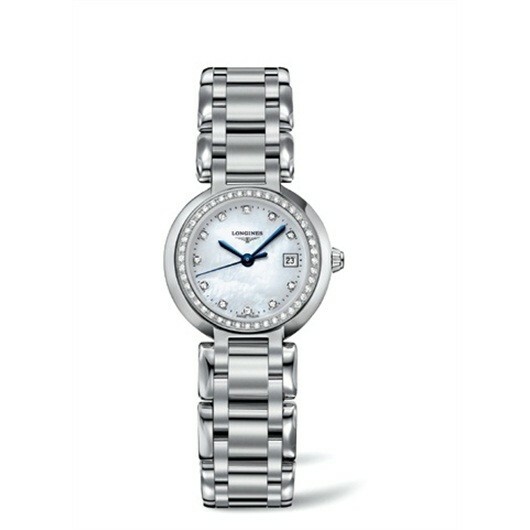 Seiko watch technology continues to evolve with worlds’ first watches such as its Spring Drive and EPD watches. 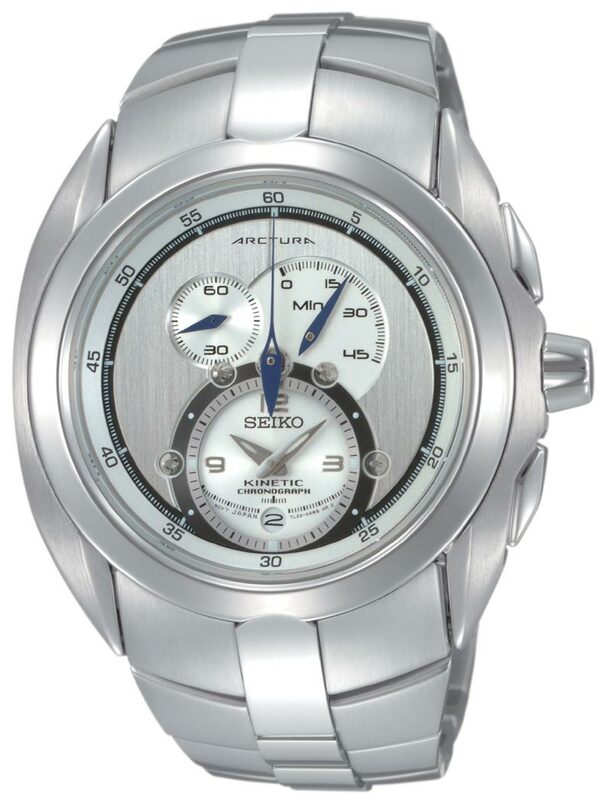 Seiko’s four watch technologies are the spring drive, kinetic, mechanical and quartz watches. Eli Manning, two-time MVP and Champion Quarterback for the New York Giants, sports the Perpetual Calendar Chronograph (Model BL5405-59E)watch. Matt Kenseth, two-time Daytona 500 Champion, years 2009 and 2012, drives on and off the track in the Skyhawk A-T (Model JY0000-53E) watch. Paula Creamer, the youngest US Women’s Open Champion, intently swings her golf clubs wearing Citizen’s Eco-Drive Firenza (Model EP5970-57A) watch. Victoria Azarenka, two-time Grand Slam Tennis who also ranked as the #1 woman on the pro tour, serves her power ball sporting the Citizen Regent Chronographs Eco Drive (Model FB1220-53D) watch. 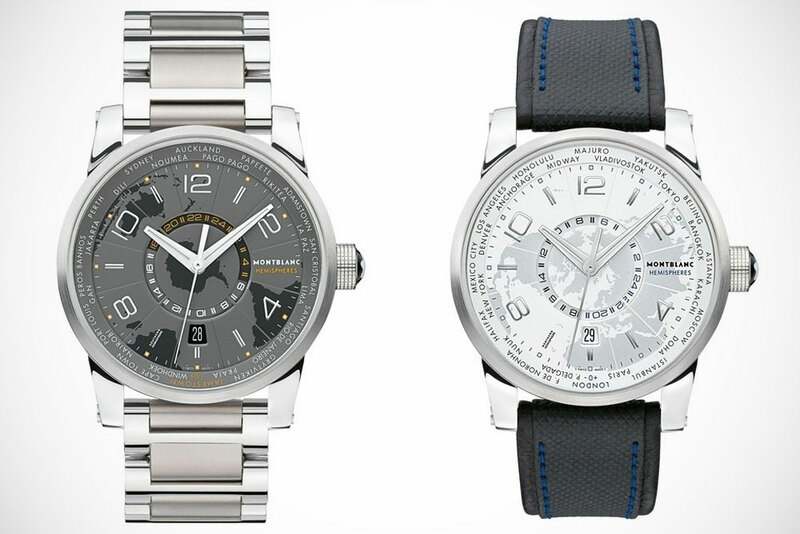 These champions represent Citizen’s eclectic brand of watches with sporting sovereignty. 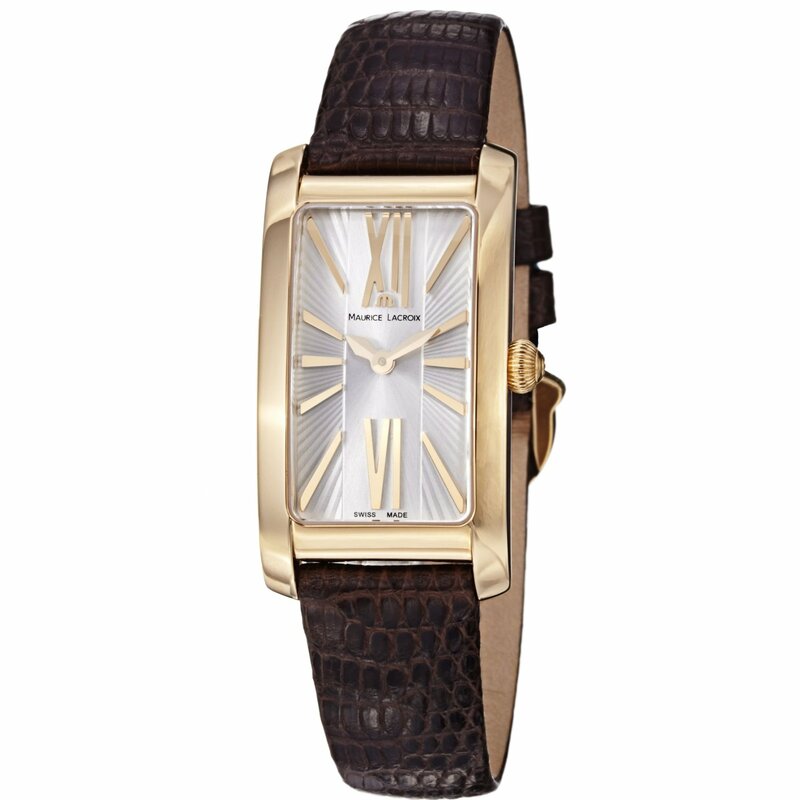 Sharpen your style with one of these amazing watches and you too may soon gain a wealth of admirers! IWC Schaffhausen unveils the IWC Perpetual Calendar Digital Date-Month with perpetual calendar and large digital display of the date and shows its love for innovation and ingenuity. The watch has a sporty design and unique features and pays special homage to the partnership between Schaffhausen and Formula 1 team Mercedes AMG Petronas. This IWC Perpetual Calendar Digital Date-Month will be in a case made of titanium aluminide (TiAI), which is first for IWC Schaffhausen timepiece and took 3 years for specialists to master it. This alloy is lighter and tougher than pure titanium. The crown, push buttons, screw heads are made of black high-tech ceramic (zirconium oxide). The combination of titanium aluminide and ceramic in the case makes the watch tough and resistant to heat and mechanical wear and tear. 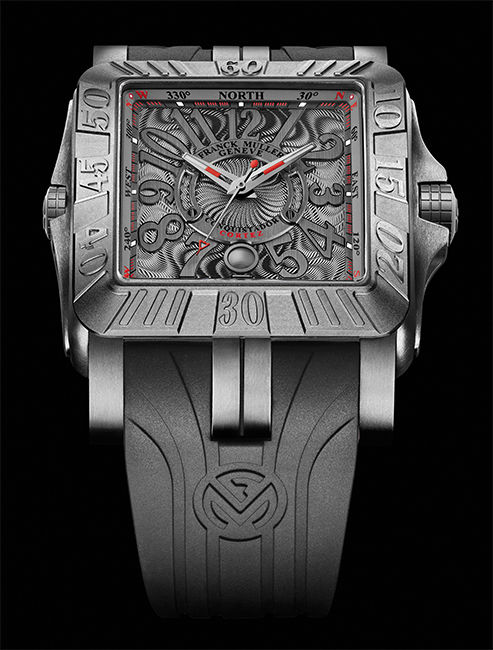 Inside the case is the movement that powers this Perpetual Calendar Digital Date-Month watch. The movement has 474 individual parts and can build up a power reserve of 68 hours. Through the transparent sapphire-glass back on the reverse side of the watch, one can observe that the rotor has a shape of wheel rim. The black and white dial looks complex and reminds one of Formula One steering wheel. There are four totalizers that are grouped around the central axis with over-sized numerals in the perpetual calendar, which shows date and month on a large digital display. 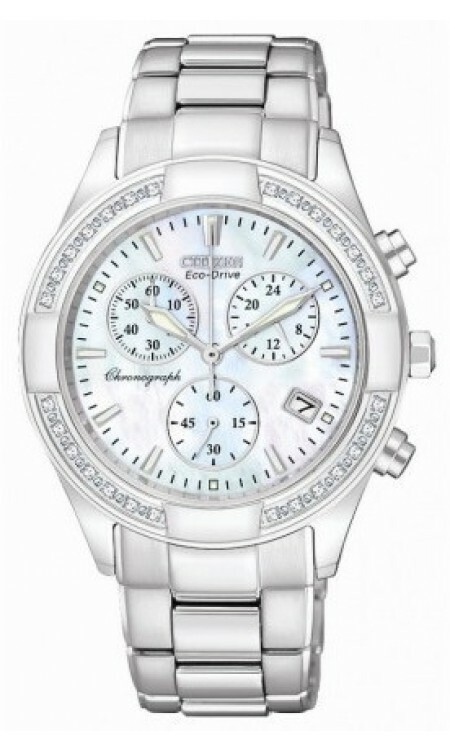 The central chronograph shows the measured times up to 60 seconds. The hours and minutes times are on a counter at the 12 o’clock position. 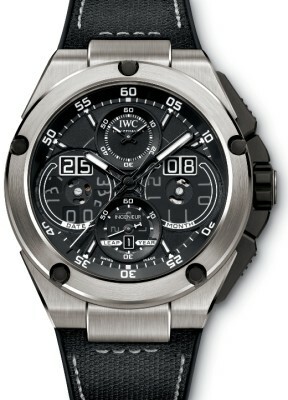 The integrated fly-back function resets the chronograph at a current timing and restarts a new one. There are cut-out sections in the middle of the subdials that reveal the arbors of the sophisticated disc mechanism. The 4-year leap year cycle is shown digitally. The dial also has semitransparent sapphire-glass inlays over the date, month and leap year discs. The five displays move simultaneously on New Year’s Eve. 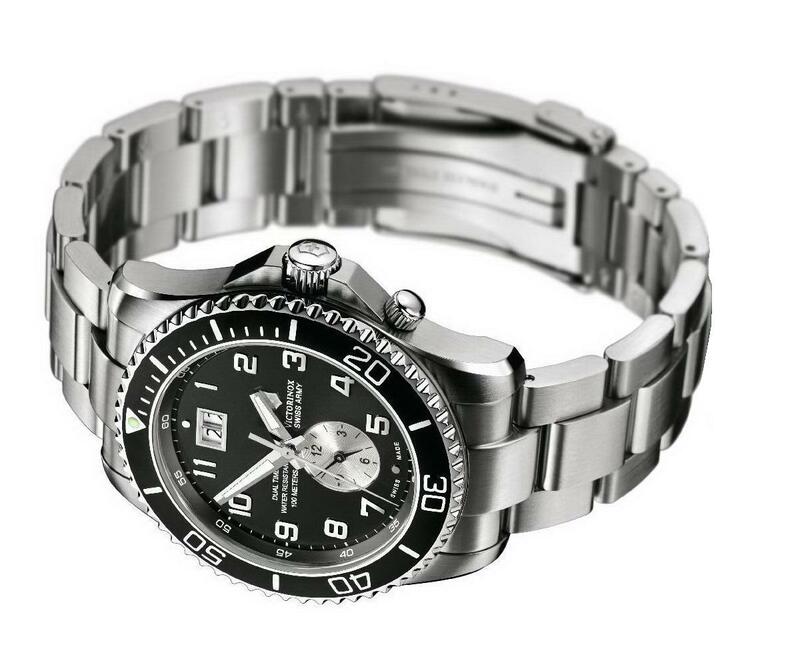 Raymond Weil is a family-owned company that knows the importance of helping its community. The luxury watch brand spent January 24th of this year hosting their Annual Music Dinner with some of the best-loved artists in London. Not only did Raymond Weil help promote the local music scene, but also helped a non-profit earn the money to keep moving forward. The Annual Music dinner was hosted by famed singer, songwriter and producer Labrinth. Labrinth opened up his restaurant, Mosaica in London, to other artists from all over Britain. The 120 guests that attended included local music celebrities such as Yasmin, Angel, Dot Rotten and Etta Bond. The Mosaica offered each guest a three course meal and cocktails given by Grey Goose. The night to remember was not just about gathering emerging artists, but also helping War Child. War Child is an organization that has been around for twenty years – this year in fact being its twentieth. Its goal is to help children who are in countries living with war. So far, over 800,000 children’s lives have been changed for the better because of War Child. 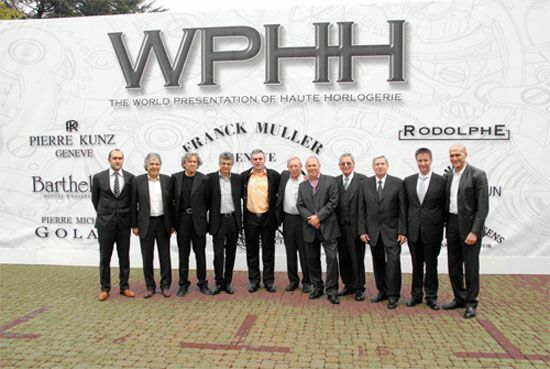 Raymond Weil gave the organization a Special Recognition Award to celebrate their two decades. Every year, Raymond Weil hosts its Annual Music Dinner with the help of companies and artists because they are invested in helping the local economy. Not only did the dinner include a scrumptious dinner and cocktails, but performances were also given by George the Poet, Shakka and Michael Duke. Raymond Weil is a brand that stays current and innovative, not only in its beautiful watch design, but in the way it treats the public. 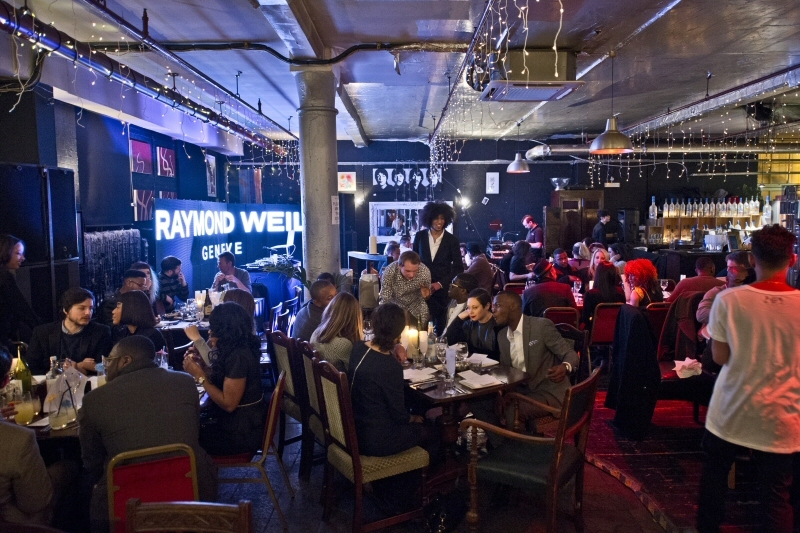 In one dinner, Raymond Weil promoted new artists and War Child – a hugely successful night by anyone’s standards. 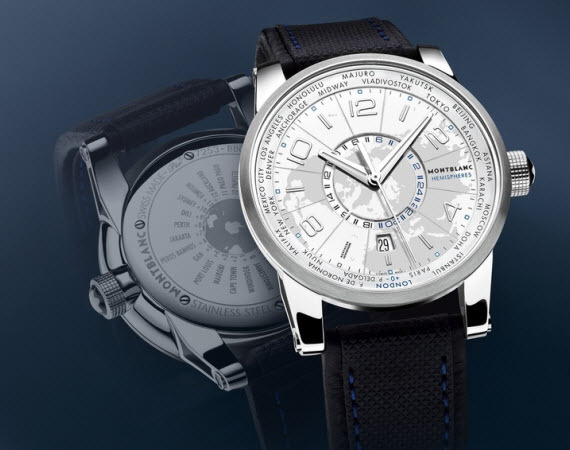 Travelers around the world can now rejoice as Montblanc has introduced the TimeWalker World-Time Hemispheres watch with world time display function. This pair of watches are sporty and come at a very reasonable price, where the watch with a textile strap is priced at $4900 and watch with titanium and steel bracelet is $5700. 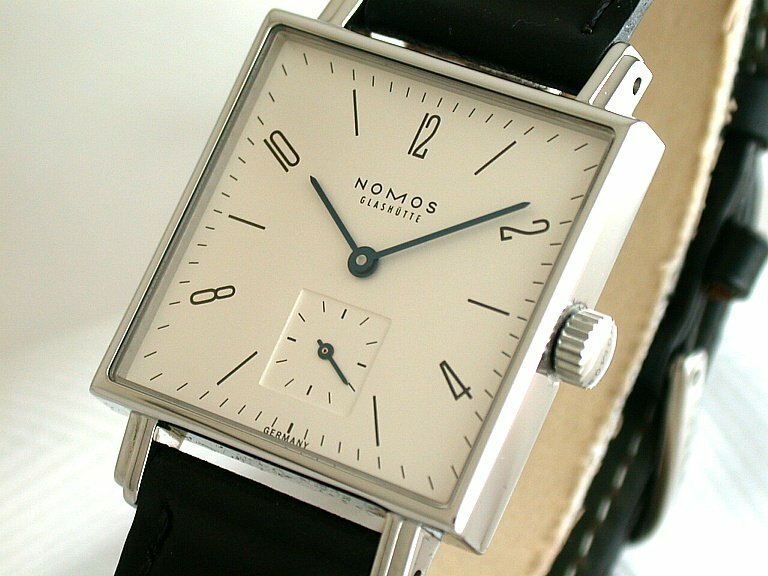 The two models of this watch are the Northern Hemisphere with a silver-colored dial and the Southern Hemisphere with a grey dial. Both models have distinct color schemes and style. The watches come in a 42 mm, ergonomically shaped TimeWalker steel case with brushed titanium bezel. 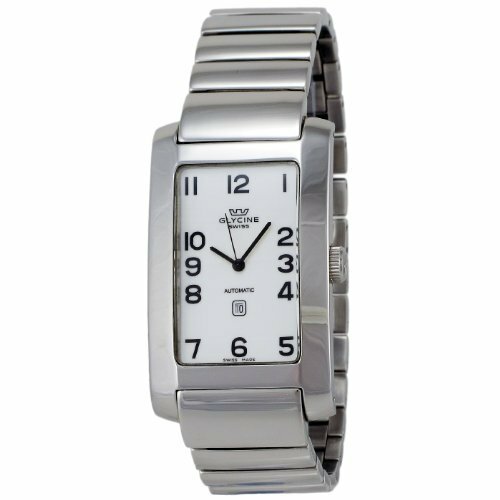 The local time zone the wearer is at is shown by the central hands, and the flange around the dial have the names of 24 cities that represent 24 time zones. As the names imply, the Northern Hemisphere model only features cities in the northern hemisphere and Southern Hemisphere model only features cities in the southern hemisphere. On the Northern Hemisphere model, the central disc rotates clockwise, while it rotates counter-clockwise in the Southern Hemisphere model. One must own both version to see time zone of the entire earth. Power Reserve: Approximately 42 hrs. Marketing tactics have had to change over the years with the introduction of the Internet. Today, with social media so large, marketing has taken on a whole new look: Facebook. While luxury watch brands will always have their loyal followers, one of the only way to find new patrons is reaching them through Facebook. Raymond Weil has recently taken on this challenge, creating a luxury watch world with social media to find a new generation of fans. 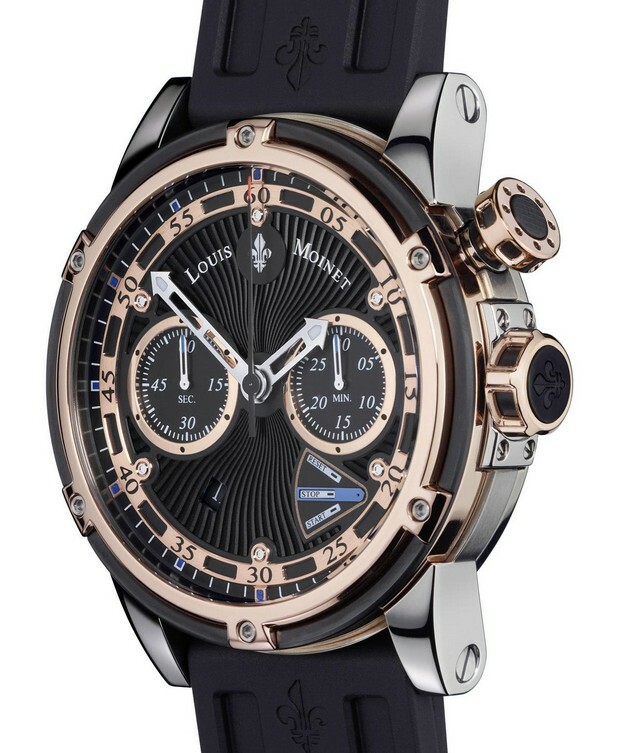 Raymond Weil is using Facebook’s 9th Birthday to start a new and innovative marketing plan in order to connect to more people. While billboards, magazines and even television may have reached the right consumers before; it is all about the Internet today. Younger generations spend a lot of their time on Facebook and it is practically free advertisement for Raymond Weil – working similarly to word of mouth. 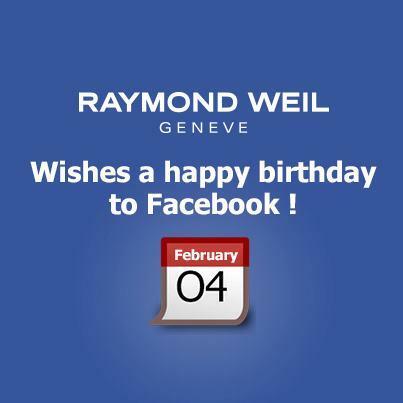 On February 4th, 2013, Facebook turned nine years old and Raymond Weil sent all their corporate viewers to their new Facebook page in order to create a fan base. They offered their patrons a Happy Birthday message, telling them how Facebook has a similar story to Raymond Weil in how they developed. Their page also offers bonuses, such as locations to buy their watches and the innovative watch finder. The watch finder allows you to input attributes you are looking for in a watch and gives you the best matches. 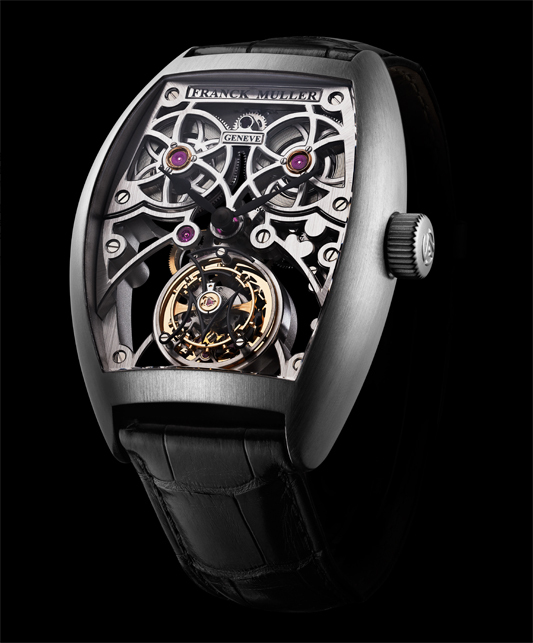 Facebook gives Raymond Weil a user-friendly page that allows the brand to connect to today’s new social behaviors. It is a huge move forward for them. 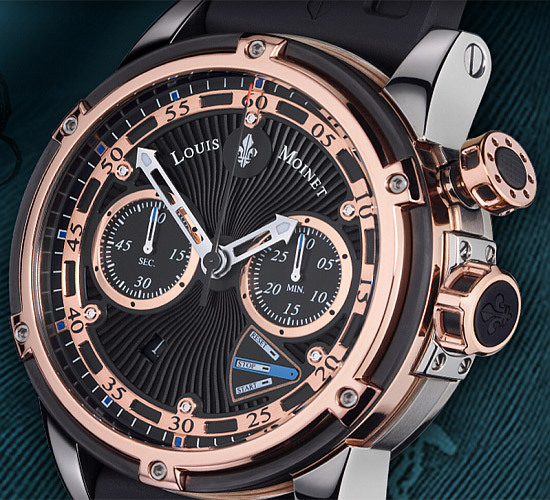 Not only will the page help find a larger audience, but the comments people leave will be used as feedback to help Raymond Weil give customers precisely what they want. 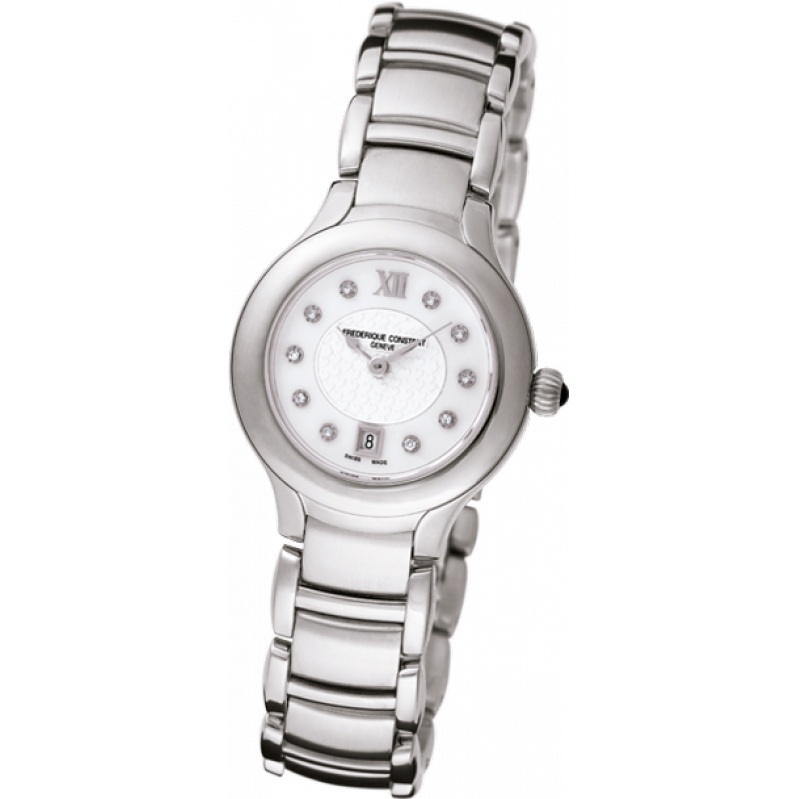 Raymond Weil was founded in 1976 and has always been an innovative company. To continue forward as one of the only family-run luxury watch brands, they knew it was time to make a huge, innovative move. Their Facebook page offers you a way to connect to them that has not existed before. Enjoy it: http://www.facebook.com/raymondweil.